This is How To Eat Right For Your Blood Type ! 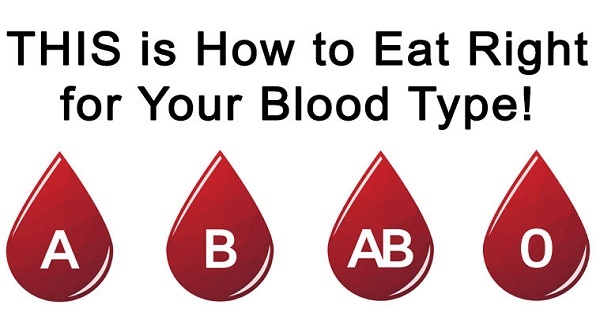 Home » Health » life » SCIENCE-TECH » This is How To Eat Right For Your Blood Type ! Numerous people constantly try various kinds of diet in the struggle to lose weight. Yet, different diet work for different individuals, and finding the food plan that works for you is not the easiest task and requires a lot of time. Your personality is significantly determined by your gestures, daily routines, habits, and facial expressions. This is also the case with blood type. People with blood Type A “favor a structured, rhythmic, harmonious life surrounded by a positive, supportive community.” Dr. D’Adamo claims that a vegetarian diet is perfect for them, and the switch from meat to vegetables will lead to a significant weight loss. According to him, people with B blood types “carry the genetic potential for great malleability and the ability to thrive in changeable conditions.” They are more prone to imbalance, as they produce more cortisol due to stress. The guide suggests that these people gain weight due to the consumption of foods which influence the metabolic process, including wheat, peanuts, chicken, tomatoes, corn, buckwheat, lentils, and sesame seeds. Dr. D’Adamo urges these individuals to replace chicken with lamb, rabbit, goat, mutton, or venison, and consume more low- fat dairy and green vegetables. Type ABs, according to the guide, have low stomach acid but an adaptation to meats, so as they do not have enough amounts of acid to metabolize meat, it gets stored as fat in the body. On the other hand, type Os have higher levels of stomach acid, so they are better at digesting meals rich in fat and protein. Therefore, they can freely consume meat, but should avoid simple carbohydrates, especially grains, as they are easily turned into fats and triglycerides. Dr. D’Adamo believes that these people should consume lean, organic meat, fruits, vegetables, and stay away from alcohol, caffeine, dairy, and wheat.